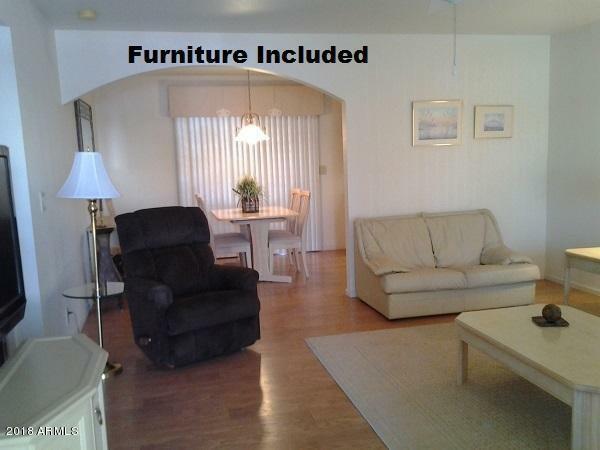 Furnished Home in Active 55+ Adult Community!! 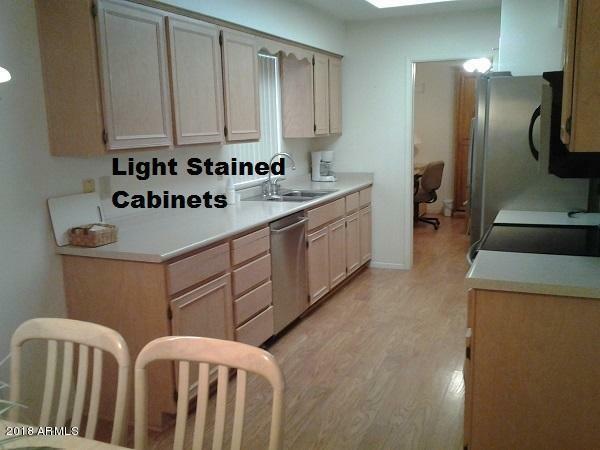 A 2BR, 2Bath Layout with Large Living Room, Dining Area off the stepsaver Kitchen, Bonus/Hobby Room, Full Double Car Garage (Laundry in Garage). 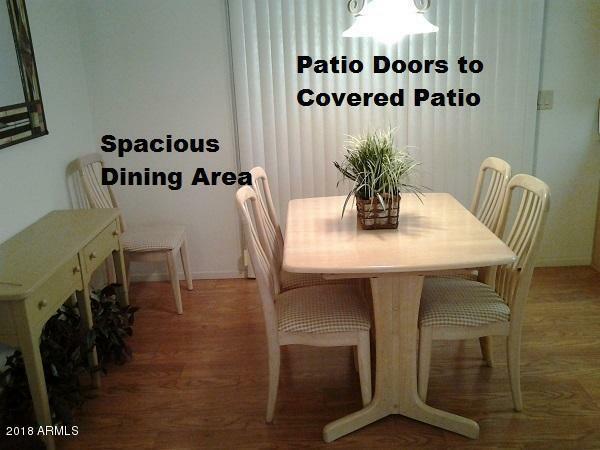 Furniture and Furnishings on the premises will convey (at -0- Value). 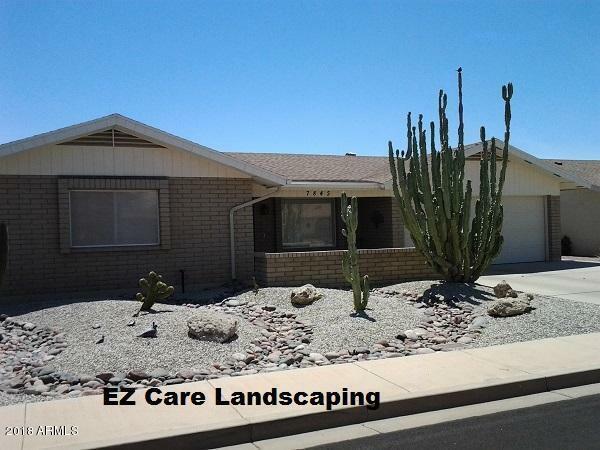 EZ Care Desert Landscaping, Wood Styled Laminate Throughout, Stainless Steel Appliances, Sunscreens, South Back Patio Exposure - Move In Ready. Community offers Golf, Tennis, Pickleball, Fitenss Centers, Pools & Spas, Softball, Billiards, Library, Woodworking - Many other groups and activities. Buyers required to pay $750 New Member Cap Fund Fee at Closing.